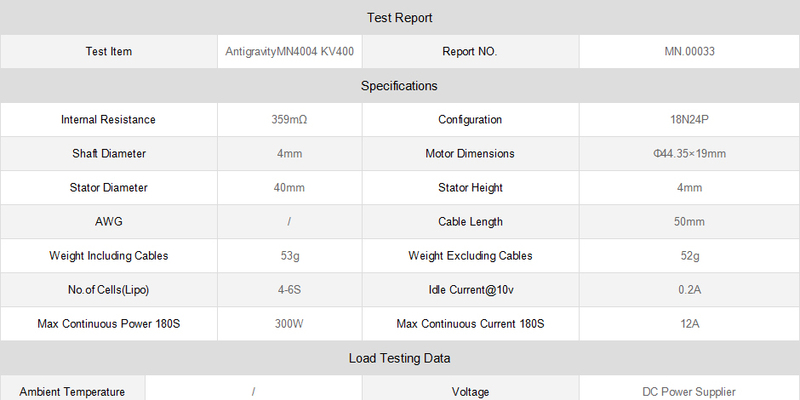 Light weight Antigravity 4004 type T-motors are available with Ultathin design, processed by high strength aluminum. Use of single thick copper wire winding reduce energy dissipation of motor. Antigravity T Motor contains unique cooling design so that ventilation of winding is well, perfect dynamic test make motor easier to speed up and run more stably. Antigravity Tiger motor has excellent assembling workmanship with great rotor dynamic balance.